As I’ve been preparing to leave New York over the past month or so, I’ve been doing everything I can to tie up all the loose ends swirling around in my life. But with less than two weeks remaining before the moving van comes to move me to North Carolina, I am realizing that there are some things that are just going to be left undone—there will be some unfinished business in my life and work as I move on to the new things ahead. The biggest bit of unfinished business I will leave behind in the church is going on right on the other side of this wall in the space once known as the auditorium. As construction began a few weeks on our project to enhance the accessibility of our building and create new space for our children to learn, I got excited—it looked like I might actually get to see this work finished! This work is a major achievement in the life of this congregation. We have been talking about doing some sort of accessibility project for basically the entire eleven years that I have been pastor here—and I know that the conversation actually probably began eleven years or more before that! But as the weeks have worn on and the work went slower than expected, it became clear that this too would be unfinished business for me. There are too many things still to be finished for all the work to be complete before my last day in the office on Thursday! And yet as I was talking with Lena Ronde about this the other day, I realized that this is like so much of my ministry in this place. I am not going to see things finished in the way I would like. The projects and work that we have begun together here to live out the mission of God in our midst will take new shape and form and direction in the days after I leave, and I cannot control that. I am leaving a lot of unfinished business—more than I would like—for you and your next pastor—and for God!—to keep doing in this place. The sixth and final Great End of the Church that comes before us today leaves me thinking about a lot of unfinished business. 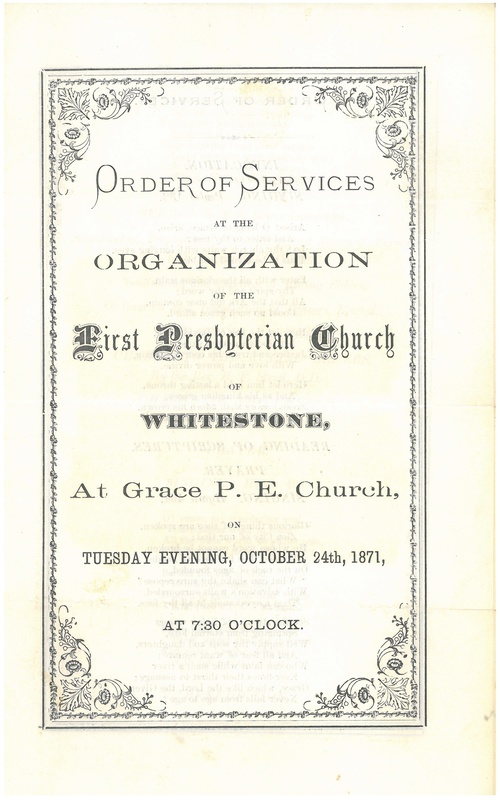 While a number of the things contained in these Great Ends can be quantified into achievable tasks—things like “the maintenance of divine worship” that we can clearly see when we gather here each Sunday or “the promotion of social righteousness” that we can assign to a number of specific actions that we can take as a church—this last Great End, “the exhibition of the kingdom of heaven to the world,” is a much less defined thing. We cannot complete this task in an hour on Sunday, over the course of one job in life, or even in the lifetime of a person or a congregation. The exhibition of the kingdom of heaven to the world is always unfinished business—something that we must always be working on as God’s people. Our scripture readings this morning give us incredible images of what this kingdom might look like in our world. First, the prophet Isaiah gives us a glimpse of the kingdom of heaven breaking in to this current world. “O that you would tear open the heavens and come down!” the prophet cries. O that things would be different here and now, that everything would be finished and the church’s exhibition of the kingdom of heaven would be clear and complete! After all, the prophet says, this has happened before: “When you did awesome deeds that we did not expect, you came down, the mountains quaked at your presence.” God’s people have seen the kingdom of heaven before—maybe in a day past when more people were engaged in the life of the church, maybe when things were more hopeful in the world around us, maybe when we were more able to make a difference amid all the challenges of our world. The kingdom of heaven, then, is revealed in the powerful appearance of something new that shatters the expectations and realities of the old, in the recognition of the ways that the things of this world must be transformed to make way for something new, and most of all in the present promise and ongoing hope of God’s care, concern, and creating love that shift and shape us and our world each and every day. Then Jesus also offers us several visions of the kingdom of heaven in his parables from our reading from Matthew. In these five parables, a selection of a broader group in Matthew’s gospel that open with “the kingdom of heaven is like,” Jesus gave his disciples a picture of the kind of transformation and challenge that come with the kingdom of heaven. In these parables, Jesus compares the kingdom of heaven to a mustard seed planted in a field, to yeast that leavens bread, to treasure hidden in a field, to a merchant seeking a fine and beautiful pearl, and to a net filled with good and bad fish. All these different images of the kingdom of heaven help us to understand four things about the kingdom of heaven that can help us as we exhibit it to the world. First, the kingdom of heaven starts small. Mustard seeds, yeast, and pearls all begin as small and unremarkable things, but they end up bringing an incredible and overwhelming gift. In these parables, the kingdom of heaven also can go unnoticed until it is discovered. Every way that Jesus describes the kingdom of heaven coming into being can so very easily be missed if we are not paying attention and looking for it to become real. Third, the kingdom of heaven is incredibly valuable and cannot be bought without a substantial price. Acquiring the treasure in the field and the pearl of great value both require giving up everything else. Finally, these parables show us that there are some things that look like the kingdom of heaven that really aren’t, so we must always sort out exactly what among us and beyond us is the kingdom of heaven and what is not. Between these parables of Jesus about the kingdom of heaven and the images of unfinished business from the prophet Isaiah, I think we have some pretty good guidance about exactly what it is we are called to do in “the exhibition of the kingdom of heaven to the world.” We can recognize the incredible creation of God present in all people and honor it as best we can in the church and in every element of our lives—that is the exhibition of the kingdom of heaven to the world. We can look for ways to claim the lordship of Jesus Christ in our world that demands that we name so many others as lord—that is the exhibition of the kingdom of heaven to the world. We can take even the tiniest steps to work for an end to systems of injustice, inequality, oppression, and violence that go against the image of God in all creation—that is the exhibition of the kingdom of heaven to the world. We can strengthen our lives of faith by walking together in worship, learning, and service so that when any one of us falls, the rest of us are willing and able and ready to lift her up—that is the exhibition of the kingdom of heaven to the world. We can gather at this table where all are welcome and no one is turned away—that is the exhibition of the kingdom of heaven to the world. And we can raise our voices in song, joining with all creation to proclaim God’s wonderful name in all we say and do—that is the exhibition of the kingdom of heaven to the world. Our actions along this way may be as small as planting a mustard seed, mixing in a little bit of yeast, or finding a treasure or a fine pearl, but whatever we do, we offer one little step toward finishing all the unfinished business that is before us in our world. We will never get this work done. It will always be unfinished business. We as the very human institution of the church will never offer a perfect vision of the things that God is doing to those around us. We will not be able to finish all the projects that need to be finished so that the world can see the transformation that God has in store for this world. And we will always leave unfinished business wherever we go because God will keep working to make us and all things new. Just because we can’t do this work perfectly or completely does not free us to set it aside altogether, but in light of all this unfinished business, we can deepen our trust and our faith in God as we pray that God will keep changing us and continue renewing us so that others can see in us the kind of world that God has promised for all creation. So as our journeys diverge after eleven years of traveling together, may God continue the exhibition of the kingdom of heaven to the world in all of us, working through us and in us and even in spite of us, finishing our unfinished business as we prepare to share the joyous feast of this table again with one another and with all the saints in the kingdom of heaven, united in new life by Jesus Christ our risen Lord. Lord, come quickly! Alleluia! Amen. With each passing day, I am increasingly convinced that we live in an incredibly self-centered world. We need look no further than the presidential election for strong evidence of this, as both candidates embody this difficult reality in our midst. One candidate has spent the last twenty-five years building her résumé for this office, her sights set on achieving for herself the same position that her husband once held, doing everything she can to preserve her chances of reaching her personal goal. The other candidate built a real estate empire centered around his own name, using every trick he can come up with to promote himself and his brand along the way, and now shifting that network to promote himself into the highest office in the land. There may be more behind the candidacies of Hillary Clinton and Donald Trump than simple self-centeredness. They may truly hope to make a difference in the lives of average people and uphold the values of our nation, but so much of their rhetoric and actions simply work to reinforce the cultural tendency that puts the focus solely on ourselves along the way. The self-centered words and actions of our presidential candidates are very much reflective of the broader society. In a world filled with so many options, it is very easy for us to make choices that primarily benefit ourselves while hurting others. Our national image has become that of rugged individualists, people who manage to succeed solely on the basis of their own character and fortitude without any outside support. And even our vision of religion and spirituality has become deeply rooted in individual choices and personal relationships, with the primary focus being on what a life of faith can offer me, whether that be an inspiring word for the coming days or a promise of eternal life. The fifth of the six Great Ends of the Church that we have been considering this summer suggests that this self-centeredness that is so prevalent in our world nowadays cannot define the church. This great end, “the promotion of social righteousness,” calls on the church to be about more than self-preservation and self-promotion—it insists that we look beyond ourselves and our own usual interests to work for the transformation of the whole world. Our two texts this morning from the gospel according to Matthew and from the prophet Micah give us some pretty clear examples of the social righteousness that we are called to promote. First, in our reading from Matthew, we hear the opening of Jesus’ famed Sermon on the Mount with these words that set forth a strange set of blessings—and then call those who follow him to offer those blessings to others. The Beatitudes, as these blessings have become known, turn the expectations of the world upside down. Here blessing is offered not to those who enjoy the riches of the world but rather to those who are in greatest need. Here blessing is shown not by the amount that people have clearly received in this world and this life but rather in the promise of something deeper and greater in a time yet to come. Here blessing is given to the poor, the hungry, the quiet, the persecuted, the peacemakers—those who stand at odds with the expectations of the world—demonstrating God’s clear and constant preference for the poor and outcast. Jesus’ promises here are outlandish in their proclamation of mercy, compassion, and grace—just the kind of message that I think our world needs to hear in these days. In a world of scarcity, where the rich keep getting richer and the poor are so often left to fend for themselves, the Beatitudes show us that the rich mercy of God ought to be our model too. In a world where tears are suppressed and some deaths from war and violence are viewed as justified, the Beatitudes show us that God’s compassion extends to all through our actions. And in a world where people cry for vengeance and insist that there be no grace for those who they disagree with, the Beatitudes insist that God’s grace prevails as a new way emerges for all of God’s creation. Ultimately, these are not words to be lived in the world to come—they are words that come to life now when we follow Jesus on the path of new life. This way of mercy, compassion, and grace was not a new invention of Jesus. The prophets of Israel and Judah had cried out for something like this for centuries, demanding that the people repent of their self-centered ways and take up a new way that embodied care for all of God’s people. They suggested that the political division and exile of the people of Israel was deeply rooted in the people’s inability to care for the widows and orphans who lived among them and so to honor the God who had led them out of Egypt. The words of the prophet Micah that we heard this morning put this challenge before them loud and clear. The prophet made it clear that God was not all that worried about the specific form, content, and place of worship. God was not concerned about receiving the right burnt offerings, witnessing large sacrifices that showed off the donor’s wealth and status, or even watching people give up the largest blessings of life and family. Instead, the prophet insisted that the most proper offering required by the Lord was simple: “to do justice, and to love kindness, and to walk humbly with your God”. The church’s work of “the promotion of social righteousness” is rooted in the key concepts expressed in these scriptures, “to do justice, and to love kindness, and to walk humbly with your God” and to “let [our] light shine” in the darkness of our world. The promotion of social righteousness begins in this work of doing justice, loving kindness, and walking humbly with God along the way. When we stand up for God’s justice in the world, we embody the way of the Beatitudes in our lives as we live in mercy, compassion, and grace. We insist on the value and dignity of all people and especially those who have historically been dismissed in one way or another by the powers of our world. And we work to make room for the voices of peoples long silenced to be heard over the din of the privileged and powerful who so easily dominate the conversation. Alongside our actions toward God’s justice, we are called to live with deep kindness toward all humanity, setting aside even our most reasonable anger to demonstrate the kind of new life that God offers through our words and actions. And all these things culminate in a humble walk with God, stepping away from the self-centeredness of our world and pointing instead to the One who enables and empowers this way of life in our world. Even when this call to the promotion of social righteousness is as clear as it is in scripture, it is easy for us to hold back from it. Maybe we think that this is not the right time to speak up for a new and different way of justice. Maybe we will be required to give up some part of the power and privilege we have enjoyed so that we can walk the pathway of kindness and humility. Maybe living in mercy, compassion, and grace will require us to give up some things that are dear to us or set aside assumptions that we have carried with us for far too long. But Jesus insisted that the work we do is like a light that belongs on a lampstand, not under a bushel basket. We are called to “let our light shine before others,” to invite others to walk in this way of justice, mercy, and hope with us, so that God’s work might be clear and the world might be transformed. The great song “This Little Light of Mine” is rooted in these words of Jesus, and it has become a call for God’s people to live in ways that promote social righteousness each and every day. In Georgia, an India-born Muslim named Malik Waliyani bought a gas station and convenience store a few months ago and was horrified when it was recently burglarized and damaged. He struggled to keep it going. But then the nearby Smoke Rise Baptist Church heard what had happened. “Let’s shower our neighbor with love,” Chris George, the pastor, told his congregation at the end of his sermon, and more than 200 members drove over to assist, mostly by making purchases. One man drove his car around until the gas tank was empty, so he could buy more gas. So may we, today and every day, join our voices and actions with the people of Smoke Rise Baptist Church, the faithful marchers and prisoners of the Civil Rights Movement, and countless other saints throughout the world to let our light shine into the world as we walk in justice, kindness, humility, and compassion in this world until all things are made new in Jesus Christ our Lord. Lord, come quickly! Alleluia! Amen. While this blog has primarily been devoted to sharing sermons week after week, I’m excited to share bigger news here today. I have accepted a new call to serve as Associate Presbyter for Small Church Ministry and Technology in the Presbytery of New Hope, so I will be leaving my work as pastor of the First Presbyterian Church of Whitestone and stated clerk of the Presbytery of New York City at the end of August. I am very excited about this new position, as it will enable me to bring together a number of my skills and interests in service to small churches throughout eastern North Carolina. In this work, I will be able to integrate what I have learned in working with my own small congregation and other congregations across New York City and beyond as I resource and connect congregations in this new place in the years ahead. Leaving New York City is bittersweet. I have come to love my adopted hometown over the eleven years I have lived here. There is something very special about this place that gives it a special energy and unique vibe that just cannot be duplicated anywhere else in the world. I will miss the church and presbytery I have served, the good food and drink at nearly every turn, the amazing cultural options that have filled my spirit time and time again, and the wonderful people who have filled my days with meaning and hope. I am especially going to miss the incredible privilege of singing with the New Amsterdam Singers and the great fun that has come from being a season ticket holder to the New York Red Bulls. There is much to do in the days ahead: celebrating, eating, drinking, packing, soaking up everything this city has to offer one more time. I know that my story with this city is not yet over—I will certainly be back to visit, especially since some of my closest friends are here! Still, as I celebrate this incredible time in this amazing city and look ahead to the exciting new things coming up, I am a bit sad to leave all this behind. 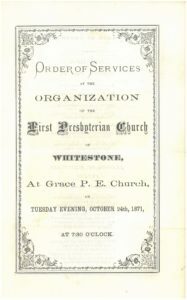 For those in NYC, the First Presbyterian Church of Whitestone will celebrate these years of ministry together with a festive worship service and celebration on Sunday, August 21, and the Presbytery of New York City will gather for a reception marking my three years of service as stated clerk on the evening of Monday, August 22. If you are in or around NYC and would like to attend, I would love to have you there, so let me know what else you need to know to join in! It is great to have people walking this journey with me through this blog. While I will be preaching a good bit less, I will probably have a few more things to say about other issues in the years ahead, so keep reading along! I look forward to sharing this pathway with everyone in the years ahead. Singing “The Battle Hymn of the Republic” as we just did is a good reminder that we are in the midst of a hyperpolitical season, that time every four years right before the Summer Olympics when the attention of many in our country turns to the conventions of the Republican and Democratic parties. This has put journalists everywhere into overdrive, trying to report as many different stories from as many different angles as possible about the election. Over the last few years, a new angle of political journalism has built on the efforts of a few people on the internet to pay close attention to the claims made by candidates in their speeches. There are now several fact-checking websites that review these statements and report on the truth and lies present in them. My favorite, Politifact’s “Truth-O-Meter,” rates the truth or falsehood of each statement on a scale of true, mostly true, half true, mostly false, false, and “pants on fire”—described as “the statement is not accurate and makes a ridiculous claim” even as it builds on that childhood taunt “Liar, liar, pants on fire!” The thinking of all these sites is that identifying the truth or falsehood of the claims of candidates will help voters make a more informed decision on Election Day—assuming of course that telling the truth counts for something. But nowadays, such an assumption that the truth matters may not be so true. Various studies have examined whether or not telling a person that their preferred candidate had lied about a particular issue made any difference to how they intended to vote, and the conclusion seems to be that it does not. In fact, when statements are made in an atmosphere where two sides of an argument are placed on equal footing as they seem to be nowadays, people are far more likely “to resist or reject arguments and evidence contradicting their opinions,” as one study put it. It seems that truth is a major concern these days—but that in the end it doesn’t really matter all that much to the outcome. In this kind of environment, then, it is curious that the fourth Great End of the Church is “the preservation of the truth.” What exactly does it mean for the church to be engaged in preserving the truth today? What does it mean to hold the truth in this way in a day and age when truth seems to be so easily manipulated by the assumptions that we bring to a particular situation? What does truth even mean in a world where an individual’s perspective seems to overrule any view of the bigger picture? The banner represents the light of truth shining in the darkness. The dove reminds us that the truth we proclaim to the world is the gospel of Jesus Christ, God with us and for us. “The light shines in the darkness, and the darkness has not overcome it” (John 1:5). That makes some sense to me, but I need more. is the God whom we proclaim. Our two scripture readings this morning offer us four insights into what it might mean for the church to be involved in “the preservation of the truth” in these days. First, these readings remind us that truth must be sought. Truth isn’t just sitting out there, clearly identifiable because it is holding up a giant sign that says TRUTH. That might actually be some of the deepest falsehood! Instead, the preservation of the truth demands that we seek out the truth for ourselves, to search the squares of the city “and see if you can find one person who acts justly and seeks truth,” as Jeremiah says, for it may not be so obvious in a world like our own. We may not need to establish fact-checking websites for everything that Donald Trump or Hillary Clinton or even your average pastor says, but we should not be afraid to stand up for the truth when God’s words and ways are twisted for human pursuits and purposes or when falsehood threatens the values of love, peace, hope, and justice that are the foundation of God’s message for our world. When we proclaim the truth in this way, we must set aside the falsehoods of our world—the falsehood that we are the ones who draw lines that separate us or others from the salvation of Christ, the falsehood that we are better off on our own than in faithful relationship with others along the way, the falsehood that we have the final say in matters based on what we believe to be true, and most of all the falsehood that we can save ourselves and can make it on our own without God. This sort of proclamation of the truth makes preservation of the truth all the easier as the truth takes life in new places all round us and touches the lives of those we never could have imagined along the way. Finally, these scriptures remind us that God is the ultimate arbiter and preserver of truth. Our actions of proclaiming and preserving the truth will ultimately be judged by God, and so we must never substitute our understanding of this divine gift for deeper understanding of God. This does not mean that we do not speak up when we hear falsehood, but it does call us to offer all our proclamation of truth and falsehood with humility and with hope, recognizing that God may be at work in our world in ways beyond our comprehension and through those we might least expect. And we can always trust that God’s judgment of truth and falsehood will be far more incisive, probing, honest—and yet merciful—than our own could ever be. Being a people and a church charged with “the preservation of the truth” is more difficult now than ever before. If the political world is any indication, it is unlikely that our words will win over people to our cause. Our proclamation of the truth is so easily empty at best and outright falsehood at worst, filled with promises that we have no intention of actually fulfilling or with lies that deny the character and action of our gracious and merciful God as we join the chorus of criticism and even hate that fills our world. And it is easy to let our work of preserving the truth of the gospel of Christ be nothing more than encapsulating it in jars of formaldehyde, leaving it to decay slowly but surely, risking nothing for the future, leaving no chance of it making a difference in a world that longs for it so deeply. And yet God’s call to the church for the preservation of the truth stands strong, guiding us to keep searching for the truth that God has shared with us, inspiring us to look for it and work for it along the pathway of justice, demanding that we set aside falsehood in our words and actions so that everything we do points to the One who judges and preserves—and who is—the truth, God alone, revealed to us in Jesus Christ. So as we go forth as God’s church with this call for “the preservation of the truth,” may God strengthen us to live out this truth so that our world might know the power and wonder of this great gift as we preserve it in our words and actions that join in making God’s gift of new life real in Jesus Christ our Lord. Thanks be to God! Amen. Something special happens when God’s people gather for worship. We may do things very much the same week after week, following the same basic order of service, sharing very similar words, singing some of the same songs, greeting many of the same people, receiving the same offering, even hearing very similar words of dismissal, but there is something special going on each and every time we gather here. The church has understood this since its earliest days. The disciples, after all, had gathered in the evening on the first day of the week when Jesus appeared to them after his resurrection, and the New Testament recounts several other instances of the early church gathered for worship, not to mention that much of the New Testament was written as letters to be read to the community gathered for worship. Debates over the nature and content of worship were an important part of the reformation impulses of Martin Luther, John Calvin, and others some five hundred years ago. And in a file cabinet downstairs, we have files upon files of worship bulletins, everything from last Sunday’s service to special anniversary celebrations and even from the first worship service of this congregation in 1871, reminding us that the first official act of this congregation was to worship God together. In all these times and places, the church has gathered for worship, most often on the first day of the week, to give praise to God, hear the Word of God, offer prayers for God’s world, and experience the presence of God in one another and in sacrament. So it is no surprise that the third Great End of the Church as adopted by our Presbyterian forebears is “the maintenance of divine worship.” To a certain extent, it is surprising to me that this is the third Great End and not the first, because in many ways it is worship that sets the church apart from so many other institutions. Our worship is rooted in the rich praise of ancient Israel shared with us in the psalms and has grown through millennia of practice before and after the time of Jesus even as we continue to maintain and celebrate it today. Our scripture reading this morning from the gospel according to John gives us a glimpse of the culture surrounding worship in the time of Jesus through the lens of an encounter between Jesus and a Samaritan woman. This encounter raises all sorts of interesting questions about interaction between people of different cultures, the impact of tradition and legend on present practice, and the role and status of women in New Testament times. As we examine the meaning of the mission of the church in “the maintenance of divine worship” today, though, it gives us a very helpful glimpse into how Jesus understood the meaning and purpose of worship. This encounter took place in Samaria, a land between Galilee and Judea that was viewed by residents of both as dangerous and “other.” The people of Samaria were descended from those who had been sent into exile by Assyria in the eighth century BCE, and even though they had returned to their homeland, they were viewed as very different by their neighbors. Samaritans worshiped the same God as the Jews and shared many traditions, practices, and beliefs in common, but they worshiped at Mount Gerizim rather than in Jerusalem. Galileans and Judeans used this to justify treating Samaritans as second-class citizens—impure, foreign, and other—even though they lived well within the boundaries of historic Palestine. The theme of worship therefore loomed very large in the context of this encounter between Jesus and a Samaritan woman at a well. They first exchanged words over Jesus’ desire to get a drink of water, ending with Jesus explaining to her that he could offer her living water that would quench her thirst forever, for it “will become in [everyone who drinks it] a spring of water gushing up to eternal life.” When she expressed her desire to receive such a gift, Jesus then began to comment on her family situation, suggesting that she bring her husband back to him in order to receive this living water even as he knew that she had had five husbands and was currently living with a man who was not her husband! The hour is coming when you will worship the Father neither on this mountain nor in Jerusalem. The hour is coming, and is now here, when the true worshipers will worship the Father in spirit and truth, for the Father seeks such as these to worship him. God is spirit, and those who worship him must worship in spirit and truth. All the divisions that had led to such separation between Jews and Samaritans would no longer matter because the real unity of worship in spirit and truth would change it all for everyone. This new pathway that Jesus suggested was deeply compelling to the woman, so much so that beyond our story today she started telling others about her encounter with Jesus, and they believed his message for themselves. Jesus’ words to the Samaritan woman about worshiping in spirit and truth ring loud and clear across the ages as we explore what it means to live out “the maintenance of divine worship” in the church today. What does worshiping in spirit and truth look like for us today? First, worship in spirit and truth reflects the wonder, grace and mercy of a God who comes to us in Jesus Christ. In worship, we encounter God in Christ just as the woman encountered Jesus at the well. In worship, we hear the Word of God proclaimed. In worship, we see the presence of God in our sisters and brothers who gather with us here. And in worship, we find God meeting us in the sacraments of Baptism and the Lord’s Supper to give us the sign and seal of God’s presence in our midst. The spirit and truth of God are present in our midst as we worship because we encounter God here, offering us living water and amazing grace so that we might go forth in new pathways of life each and every day. Second, worship in spirit and truth reorients us to the presence of God in our world. Worship is not just about getting together for an hour a week on Sundays. The things that we do here to experience, understand, and praise God do not simply stand on their own. Worship in spirit and truth helps us to see God more clearly in the everyday, to learn more about what God is doing in our lives and our world, to see God at work in ways beyond the assumptions we may have made along the way. When we leave this or any place where we worship, the spirit and truth that lie behind our acts guide us to think differently about the world beyond these doors, reminding us that God’s presence is not just trapped here but must also be visible to us and through us beyond any place of worship. Finally, worship in spirit and truth means that we open ourselves to God’s transformation in our midst. In her encounter with Jesus, the Samaritan woman’s spirit and truth were both put on full view. The truth of her past was very much visible, but her spirit of hope for something different was also very clear. And so too in our worship, God reveals the truth about ourselves, showing us a new pathway of truth and hope and inviting us to live in ways that embody transformation and new life. Similarly, worship shows us the truth about our world—and even more what God is doing to transform it—so that we might be a part of showing a new and different spirit beyond what we have seen for so long. Our call to “the maintenance of divine worship” suggests that we are to worship in spirit and truth, to trust that God is actually doing something through the things that we do when we gather Sunday after Sunday here, to proclaim the truth of the transformation that we have encountered and experienced through God in Christ, to let this time together be the beginning of the new thing that we proclaim as we live in the light of the life, death, and resurrection of Jesus Christ. All these things begin in the sacrament of Baptism. In Baptism, we encounter Jesus at a well in our time, in our own lives, asking us questions, naming the truth about who we are, inviting us to share new life. In Baptism, we are washed and made new, transformed beyond a simple human form, claimed as God’s own once and for all. And in Baptism, God offers us the living waters of Christ so that we might go forth to share that new life each and every day with everyone we meet. In a few moments, as we remember and reclaim the promises of the baptismal covenant, I hope and pray that we will encounter God in our midst, worshiping in spirit and in truth as we are transformed once again for new life in the world. So as we make our way into the world this week, may the worship we share here help us to live each day in spirit and in truth, participating in the wonder of transformation made possible in God’s world by the power of the Holy Spirit, encountering God in Jesus Christ anew each and every day. Thanks be to God! Amen.